Trees , 7-35 m, not suckering. Bark gray-brown to black, scaly. 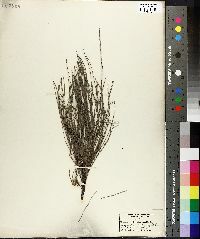 Branchlets drooping; segments 5-8[-13] × 0.5-0.7[-1] mm, usually densely pubescent at least in furrows, not waxy; longitudinal ridges angular with median rib; teeth not marcescent, (6-)7-8, erect, 0.3-0.8 mm. Young permanent shoots with erect to spreading teeth. Flowers unisexual, staminate and pistillate on same plant. Staminate spikes 0.7-4 cm, 7-11.5 whorls per cm; anthers 0.6-0.8 mm. Infructescences sparsely pubescent [tomentose]; peduncles 3-10 mm; infructescence body 12-24 × 9-11 mm; bracteoles acute. Samaras 6-8 mm. Flowering spring-summer. Sandy seasides; native to tropical and subtropical coastlines; 0-20 m; introduced; Fla.; native, Southeast Asia; native, s Pacific Islands (e to Tahiti and Samoa); native, Australia. Casuarina litorea Rumphius ex Stickman is not a valid name. 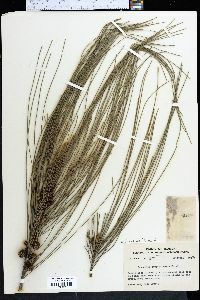 Casuarina equisetifolia is widely cultivated in many parts of the world because of its salt tolerance; it is now considered an invasive pest in parts of Florida. Only C . equisetifolia subsp. equisetifolia is known from the flora area. 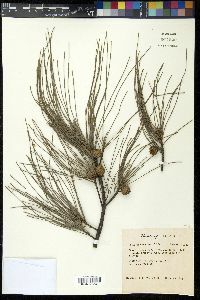 Casuarina equisetifolia subsp. incana (Bentham) L. A. S. Johnson, from Australia and the Pacific Islands region, is cultivated elsewhere in the world and possibly has been introduced to (although not yet discovered in) the flora area. That subspecies is a smaller tree with a more rounded crown, longer and thicker branchlets, and more pubescent branchlets and infructescences.